Warner Bros. is focusing less on the DC Extended Universe, especially with Aquaman becoming the #1 DC film of all time at the box office. Now we have updates for the upcoming The Batman film from director Matt Reeves about when we can expect to see the movie, what we can expect from The World’s Greatest Detective, and the Rogues Gallery. Update: The Batman film now has a solid release date of June 25, 2021, according to Deadline. 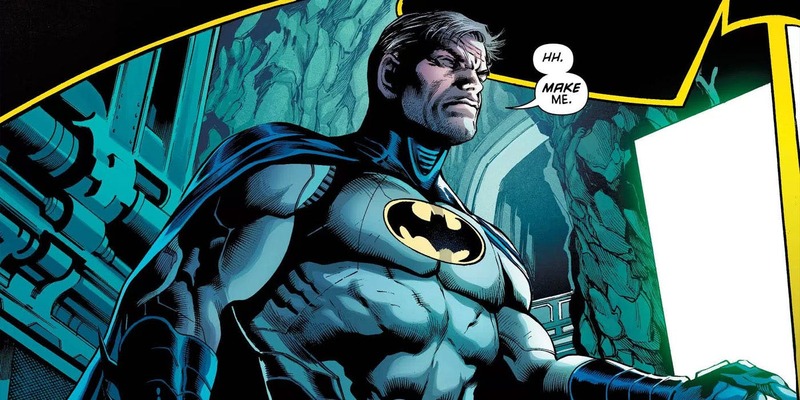 The comics and cartoons have portrayed Batman as very intelligent and with backup plans if things go wrong. The movies, on the other hand, have made him more flawed, where he would sometimes be duped by the villains in big ways. Reeves talks with The Hollywood Reporter about how he wants to bring more of Batman’s detective skills in cinema. If you have played the Batman: Arkham game, it featured a button that activates Batman’s detective mode where he’s able to analyze a crime scene. Sometimes I would have this mode turned on at all times in order to identify enemies easier. It’d be interesting to see if Reeves is going to be inspired by that or will he focus more on Batman’s skills as a detective. As for the release date, Reeves doesn’t give an exact date, but his answer does give us a better idea of when we’ll get to see the film. And what about the film’s title? The director talks about what we can expect from the villains. The actual villains are still a mystery, but it would be interesting to see many of Batman’s popular villains teaming up together. The films have had the villains team up like Mr. Freeze, Poison Ivy and Bane in Batman and Robin, Penguin and Catwoman in Batman Returns, and The Riddler and Two-Face in Batman Forever. And Reeves adds to the idea that Warner Bros. is no longer focused on the DC Extended Universe. Tags BatmanDC ComicsMatt ReevesWarner Bros.